South Korea uprising rookie group, MXM is all set to meet their fans in Malaysia through their first fan meeting in May! 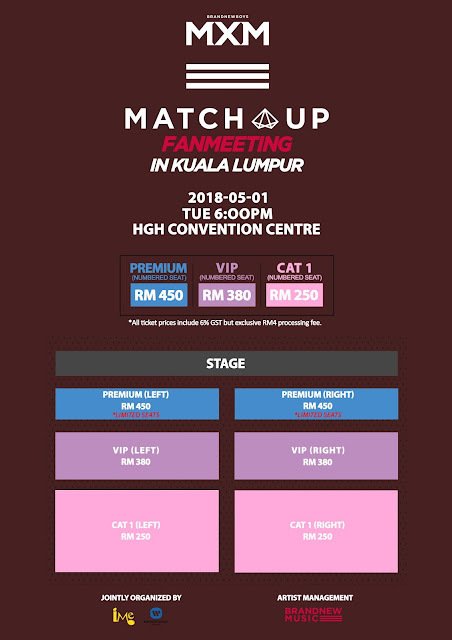 Jointly organized by iMe Malaysia and Warner Music Malaysia, MXM Match Up Fan Meeting in Kuala Lumpur will be held on May 1st, 6P.M. at HGH Convention Centre. MXM is a project unit signed under Brand New Music and Warner Music Korea that consists of two members, Lim Young Min and Kim Dong Hyun. The members rose to fame after participating in Produce 101 Season 2 (one of the most popular survival reality music programs in Korea), alongside their label mates, Lee Daehwi and Park Woo Jin who won the program and debuted as members in Wanna One. MXM officially debuted in September 6 has already proven their talent when they participated in writing and arranging their debut tracks. They recently made another come back with their double digital single “REMATCH” before kick starting their fan meeting in Seoul, Korea. Compared to their previous title songs ‘I Am The One’ and ‘Diamond Girl’ which are more towards colorful and funky concept, their latest tracks ‘Gone Cold’ and ‘Love Me Now’ are the exact opposite. ‘Gone Cold’ has a medium tempo and focuses more on the members’ vocal. This also proved that MXM is able to blend and adapt any concept perfectly. 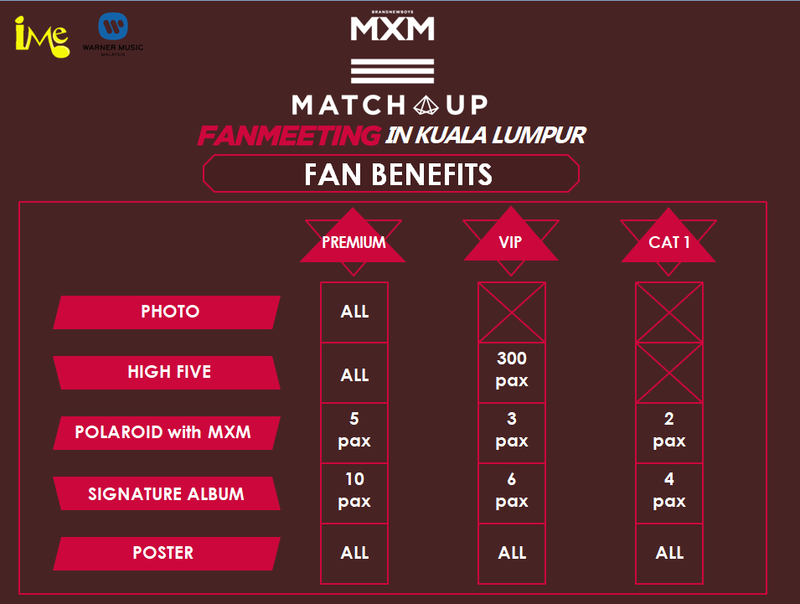 *All ticket prices are inclusive of 6% GST but excluding RM4 processing fees. *One customer may purchase a maximum of 4 tickets. You may purchase your tickets at ticketcharge starting from 14th March, 10am. Ticket outlet sales will begin on 14th March as well from 10am onwards. Tickets are available at TicketCharge office, selected outlets for Speedy video, Rock Corner, Chambers Music, PJ Live Arts, information counter at The Mines shopping mall and 1 Shamelin. 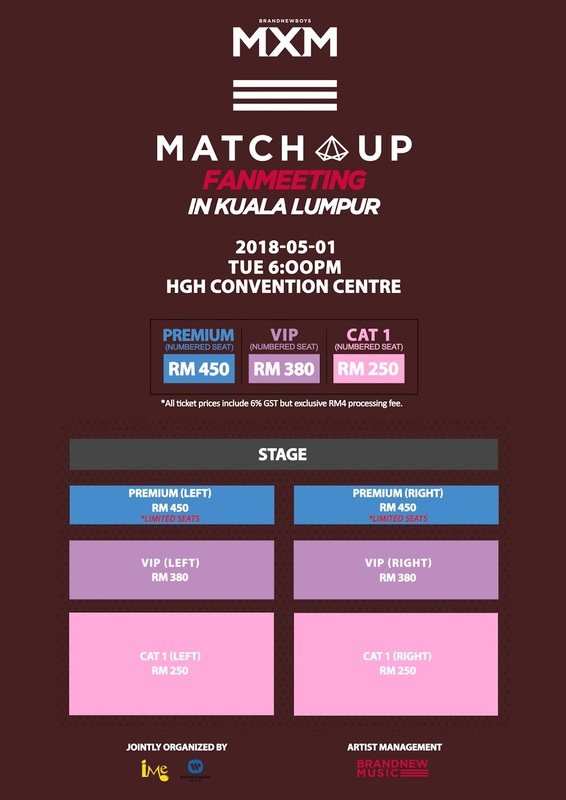 For outstation outlets, you may visit Eden Ultimate (Kuantan) and Blonde Brunette (Penang) or call TicketCharge hotline +603-92228811 to purchase your fan meeting tickets. Get ready to be awed by MXM’s strong vocal and amazing dance skill! For more information, visit us at IME Asia (Facebook) // IMEMalaysia (Twitter) // ime_asia (Instagram) // IME Productions (Wechat) // IME Malaysia (Line).